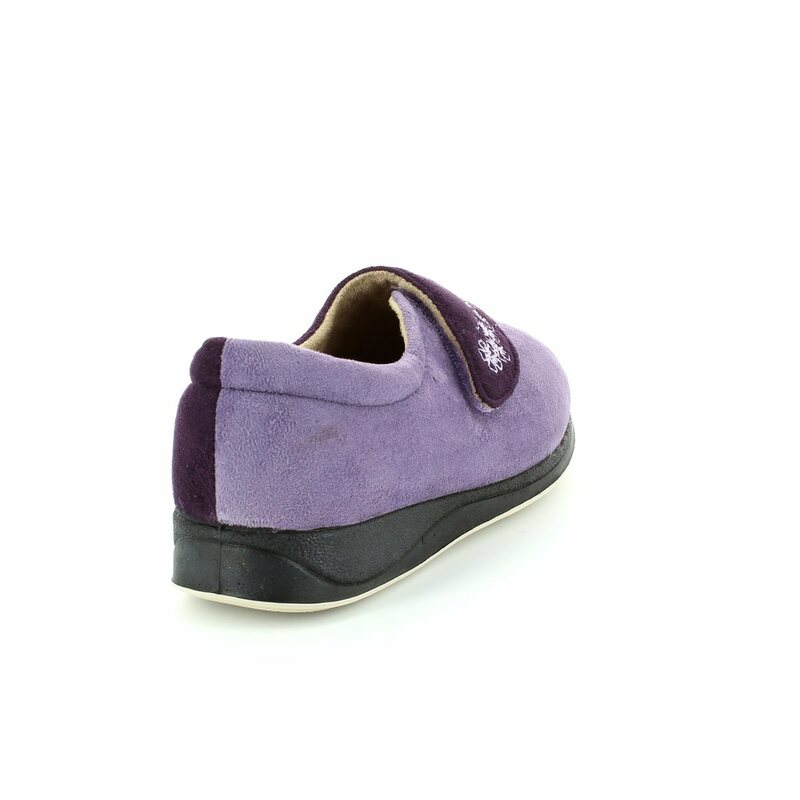 These two toned purple ladies slippers literally "hug" your feet thanks to the cosy lining and adjustable velcro strap. The EE extra wide fitting along with the soft insole which moulds to the shape of your foot, alleviating painful pressure points, make these slippers are extremely comfortable. A vanilla fragranced outer sole keeps these smelling fresh for a long time.